We are aware of the devastations that several states endured due to three hurricanes. Our desire is to help churches restore their seating as reasonably as possible. We can accomplish this by using existing pews that can be refurbished by adding new fabric and restoring the wood parts. In some cases pews only need a little TLC to be very serviceable for long periods of time. Purchasing used church furniture for a congregation is a money saver when building a new sanctuary, or even remodeling a current sanctuary. Furniture that has a little "wear and tear" can be just as functional and beautiful as new furniture. With a little care and new upholstery, used pews could be a great way to trim cost from building budgets. It does not take much time to purchase used church pews, and the savings in cost will be well worth the effort. Buyers should know that buying any used furniture, is buying furniture that is not perfect. While used church pews may not be flawless, for a fraction of the cost of new furniture, they can get the job done well for years to come. Furniture committees may not find a broad choice of colors and styles with gently-used seating, but fabrics can be changed, and old furniture can be restored or altered. Newly opened PEW WAREHOUSE, used pews for quick delivery or pick up at 105 east college st., Salemburg, NC. If we don't have what you need, we can find them for you and cut them to fit your building. Is your church considering new pews? May we suggest gently used pews that are constructed of solide wood, not composite material. 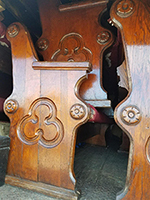 The cost for refurbishing and recovering pews with fabric of your choice is approximately $500.00-$600.00 per pew, compared to $900.00-$1100.00 for new pews. This is the perfect way to secure beautiful pews for your new building or your existing building at a very affordable price. Will remove pews from churches doing renovations that are changing seating for a reasonal fee and will buy good quality used pews. Looking to buy these style of pews or old pews in general. Text pictures and number of pews to 910-590-4364. 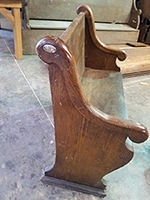 As material for solid wood pews continue to rise, making court room projects enormously high, some counties are turning to refinished existing pews to save cost. New wood pews cost $125-$150 per foot, while refinished existing pews cost $75-$90 per foot. Call, text or email for more information. Please give us the opportunity to discuss your seating needs with you. 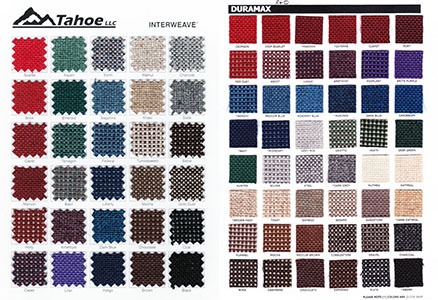 These are fabric that churches can chose to recover any pews we have for sale,pick your pew style and call or text for quote on new fabric.please note we can always resize any pews we sell to fit your church. Light blue fabric in very good condition on these pews,50 pews at 13 feet or length church needs, $250.00 each. Ask about delivery and installation. 25 white metal chairs $25 each. New stained 3 chair set,church can pick fabric color, $1950.00. 7 piece refinished pulpit set with one 5 foot clergy pew free,$3750.00, church can chose fabric for chairs. 30 pews,ends have been refinished with new stain and paint. 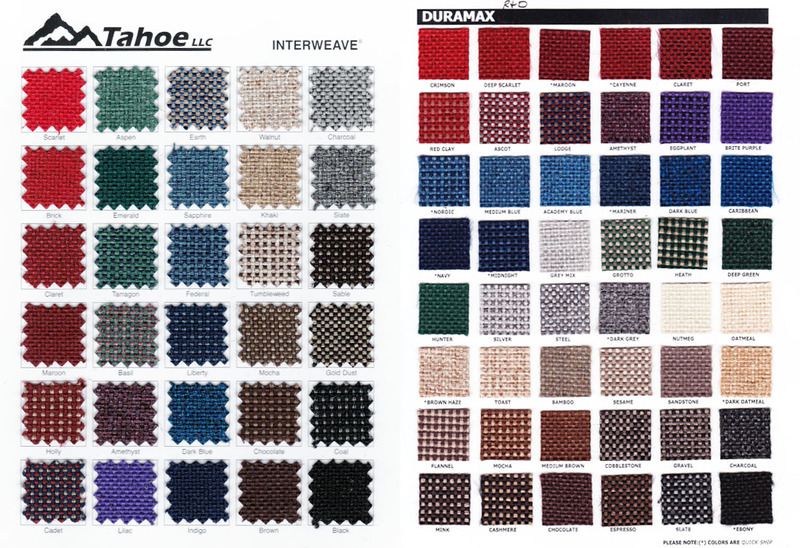 Church can chose new fabric and lengths that is needed for church can be provided. Need length of pews needed and can quote cost. Excellent solid wood pews, 23 at 22 feet 8 inches and 4 at 11 feet, $300.00 each. Please remember fabric can be added or changed on any pews we have, call for a quote on this service. 17 pews ar 11 feet long, solid oak wood that has been refinished and can add fabric choice of church,purple shown in picture, $5500.00 for the set. Very good piano, finish is in excellent condition $500.00. All wood 18 at 18 feet long or can cut down for customer. $223.00 each. Solid oak pews 34 at 16 long $300.00 each,fabric can be added for a extra charge.see fabric colors above. 2 5 feet clergy pews for pulpit area. $200 each. 32 pews very good condition, 20 at 12 feet,12 at 8 feet and 4 at 5 feet for pastor and guest in pulpit area. Pews are $325.00 each,ask about delivery and installation. Old home made speakers stands, great for register stand for restaurants $100.00 each, 3 available. A very rare find,a complete set of pews and pulpit set,pews will seat 300 people. Pews are made solid oak covered in fabric. $15,000.00 for the entire set.pew sizes 32 at 12 feet and 4 at 15 feet. 54 Water fall pews,smallest is 12 feet up to 17 feet long,these can be cut to fit your church or church can chose a new fabric color, call or text for cost on this service. Cost as shown $370.00 each. 8 solid oak pews 8 feet long, 125.00 dollars each,can be cut down shorter for 25.00 each. 5 pews 4 feet long from the year 1890 refinished, $295.00 each. Pews will have to be pickup,no shipping available. 61 pews 16 foot long or cut to fit your church with a blue/gray type fabric, pews are in very good condition. Cost is $335.00 each. Solid wood pews with fabric on seat and front of back. Price reduced to $187.50 from $300.00 and have 16 pews at 13 feet 6 inches long. Ask cost of delivery and installation for these pews. White water fall ends with red fabric in perfect condition, can seats about any church,just need sizes $265.00 each. 40 pews at 21 feet, solid maple wood, very high quality pew ends with raised panels. Great pews for court rooms as well as churches, fabric can be added to backs and seats of pews, also have frontal screens that go in front pews, call for quote on these pews. Colonial solid maple wood pews, both seat and back wood. Pews available 21 at 15 feet long $200.00 each. 76 purple fold up seating only 3 years old,excellent condition, sells new for $200.00 each,cost for these $47.00 EACH or the entire lot for $3500.00. 36 pews at 12 feet and 2 at 9 feet for wheel chair spaces, these will seat 300 people. 19 pews in each row for total 38 pews. Cost is $264.00 each,also ask about delivery and installation. Fabric 6 years old and in great condition. Lumbar type back for greater comfort. Reading stands,all solid oak wood 16 x 20 inch top,used for class rooms and restaurants hostess stations $275.00 each. Have 4 of these. 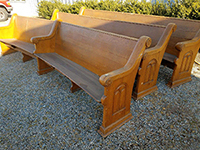 4 pine painted pews 116,126,120 and 134 inches long, 225 each or $800.00 for the lot of 4. Excellent condition white water fall pews with burgundy fabric,has 3/4 inch cabinet grade plywood in seats and backs. 16 pews at 15 feet long and 6 at 12 feet, can cut to size if needed, 22 pews total $400.00 each. Oak wood flooring made from pews reclamied from St. Margaret Mary's Catholic Church Essington,Pa. Wood is 75 years old and has tongue and groove for flooring. The width is 31/4 -31/2 wide,cost is $9.96 per square feet. Primitive train station pews, first picture shows pew facing one way, next picture shows pews facing oppose way. Which everway train was coming from that the way the pew faced. Have two difference styles of pews,17 total pews, 8 of one and 9 of another. Pews are $1500.00 each, will sell entire lot for a discount. Very good pulpit set, pulpit, communion table and 5 chairs, $2750.00 must buy entire set,can't break up set. 30 10 feet,30 12 feet pews,All wood in pews solid maple,new FABRIC on seats and front of back. Pews are totally refinished. New paint on ends and all other wood parts have new finish. Pews are $350.00 each. 51 inch long bench,15 inches deep 18 inches high for small foyer and ulitilty rooms.$150.00 each. 48 inch table for communion or offering $200.00 unfinished and $250 finished. These fully upholstered pews were new in 2003,soild oak ends with high quality fabric. Have 68 at 16 feet long,14 at 12 feet long and 8 at 10 feet long. Can sized for any church. $350.00 EACH. Have 4 of these,great for pulpit area setting, $175.00 each. 18 at 10 feet 9 inches and 4 at 10 feet. New burgundy fabric on seat, new paint on ends and back's are Oak wood. 90 12 feet pews as is $250.00 each or can refinish and add new fabric, call for quote on that process. Very good heavy duty endless pews 16 at 7 feet 6 inches long $50.00 each. 10 pews 10 feet long, 100 dollars each. Very nice waterfall pews. 14 at 13 feet, 6 at 11 feet and 1 at 7 foot. Cost is 275 each fob Salemburg NC. Very nice pine pews, seats and back's one wide board,hard to find this quality in old pews. Have 15 at 10 feet and 2 at 8 feet. 250 dollars each or 4000 dollars for the lot of 17. 6 pews at 12 feet long $100.00 each. 2 at 88 inches and one at 60 inches 500 dollars for the 3. 6 pew 4 at 11, 1 at 10 and 1 12 feet $700.00 for the lot of pews. Praying rail 3 at 76 inches one at 86 inches, 100 dollars each. 6 piece pulpit set,pulpit,communion table and 4 chairs. Fabric can be changed on chairs if needed. $1,500.00 for the set. 6 at 10 foot and 2 at 6 foot, 500 dollars for the lot of pews. All wood no fabric on pews. 2 pews at 10 feet for 100 dollars. Pews have had a total refinish on pews, seats are new with 3/4 inch plywood and new fabric on them. 28 pews 10 feet 6 inches and 15 at 14 feet 6 inches long. A deal at $200.00 each. Very old Gothic design pews. Pews have curve in them and are 126 long, can be cut to size for customer. $550.00 each. 14 pews at 12 feet for $1500.00, church will pickup pews disassemble and we will put them in touch with a installer that can assemble them. Solid oak pews, 21 at 10 feet long, need a little TLC and will last forever, $280.00 each. Three 7 feet pews and two 14 feet pews,very old all wood must buy all 5 $650.00 total for lot. 24 pews at 15 feet long with water fall type ends,pews in very good condition and can be made shorter if needed. $375.00 each. 11 pews at 8 feet long for out door events, $250.00 each. 12 8 feet pine pews that are light in weight for our door wedding, $250.00 each. 135 year old curved pews in great condition, can cut to size from 11 feet pews. Cost is $369.00 each. Cheap Pews refinished a existing set of pews for Salisbury Zion church,Wilson,N.C. which we bought from them and new fabric was added. The results was fantastic, we were able to complete the project under budget by a large margin and very pleased with the product. 35 pews 12 feet long,very good condition, $250.00 each. 16 at 13 feet long 2 at 4 feet for pulpit area pews are not very old,everything in very good condition. 250.00 each. 18 at 12 feet,4 at 9 feet 6 inches, 2 at 7 feet 4 inches, 1 at 6 foot. Almost new pews,fabric is great condition, would work wondful in new church. 350.00 dollars each. 36 pews at 12 feet solid oak under fabric pick up after 3 1 16 church will pickup pews disassemble and we will put them in touch with an installer that can assemble them. True hand made primitive pine tongue and grooved pews,very rare $275.00 each 11 at 12 feet and 4 at 8 feet. feet long. Can be sized for buyer for $50 cost. These pews are $395.00 each.